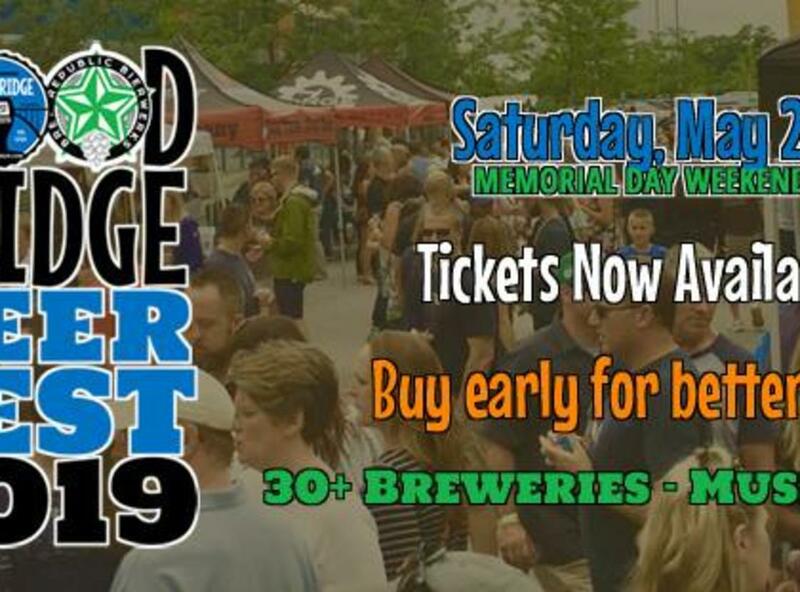 We're taking over the main drag of Stonebridge for the second annual Woodbridge Beer Fest and filling it with beer, food, some wine, root beer (for the kids), and a ton of fun for adults and kids alike. SATURDAY, MAY 25: (Memorial Day Weekend) Starting at 11am (10am for VIP) going until 5pm. PARTICIPATING BREWERIES: Dozens of the best of local and regional craft breweries. Visit http://woodbridgebeer.com/ for current (and growing) list. WINE: We’ll also have a wine table so you can bring your wine drinking friends along to enjoy the merriment! FOOD, MUSIC, ACTIVITIES: In addition to liquid revelry, there will also be food vendors, live music and other entertainment — including kid-friendly activities. AFTER PARTY: Stay late for the after party in the Brew Republic taproom. LOCATION: Stonebridge at Potomac Town Center is located just off of I-95 in Woodbridge, Virginia. The center is home to Brew Republic Bierwerks, as well as high end retailers like REI, , Alamo Cinema, Carhartt, an Apple Store, and top notch restaurants. The main road through the center (Potomac Town Place) will be closed to vehicle traffic between Starbucks and REI for the Beer Fest, creating the perfect venue for enjoying great craft beer and tasty food with friends and family. TICKETS NOW AVAILABLE: Get the best price by purchasing in advance. Get them here: https://woodbridgebeerfest2019.eventbrite.com. -- General Admission: includes wrist band (for drinking); a commemorative glass; and unlimited 4-ounce beer pours. -- VIP Admission: includes General Admission ticket; early entrance to the festival (1 hour before General Admission ticket holders); exclusive beers only available in VIP tent; a cool and shaded place to sit and hang with brewers and brewery personnel (and other VIPs); and a $5 food coupon at Brew Republic Taproom (inside). -- Wine Ticket: includes wrist band (for drinking); a commemorative glass (same one beer drinkers get); eight 4oz wine pours; and free admission to VIP tent when accompanying VIP ticket holder. -- Kid Ticket (not required but recommended): let's kids in on the action with unlimited pours of house-made Brew Republic root beer from the tap; a plastic commemorative cup; and bottled water. Please note: Kid Tickets are not required for kids to attend. NOTE: Advance ticket sales prior to May 1 are $39 General Admission or Wine; $59 VIP; $5 Kids. Starting May 1, advance ticket sales are $49 General Admission or Wine; $69 VIP; $5 Kids; and on 5/24, online/advance ticket sales will end and tickets will be available at the event ($59 General Admission or Wine; $79 VIP; $6 Kids). VIP sold out last year weeks prior to event. MORE DETAILS: More details will be published as they become available, such as additional breweries, food vendors, live music acts, and more — check http://woodbridgebeer.com/ for the latest.